Finding the right office space is no easy feat, whether you’re a new company or an established one. It can be particularly hard for those moving into new markets. For instance, if you’re a western entrepreneur relocating to Asia, you may find the process a little daunting. Fortunately, Southeast Asia is a wonderful place to start or expand a business. Regions like Singapore call out to investors because they have relaxed tax laws and strong economies. Plus, to ensure the first year is a big success, you can opt for a stay in a serviced office. 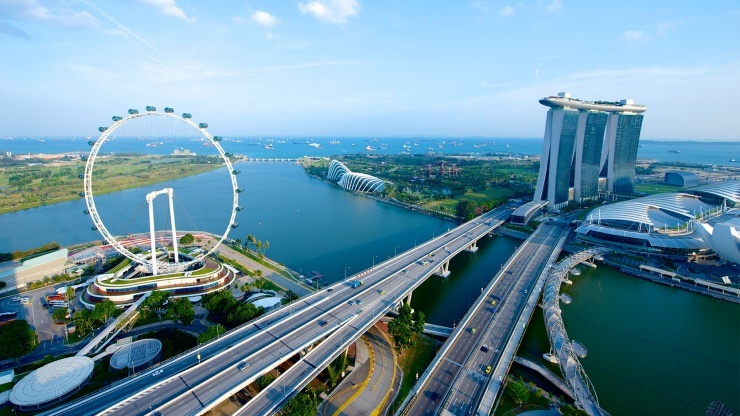 When looking for a serviced office in Singapore, be clear about what you need. These vendors come in many shapes and sizes, so you’re bound to find the perfect lease. The popularity of serviced offices is growing, both in Singapore and across Asia. It is because modern companies (start-ups especially) know security and longevity are different things. You do not need a permanent, guaranteed lease for five years or more to feel safe and secure. Instead, invest in flexible solutions that provide custom support, as opposed to a cookie cutter contract. This is what serviced offices provide to tenants. They don’t assume every business needs the exact same lease length, tools, resources, and software. Serviced facilities in central Singapore offer a wide selection of basic and supplementary resources. The majority are included as part of the monthly fee (repairs, IT support, cleaning, utilities, mailboxes, etc.) Only a few tools are charged as extra items, and the rate is nominal. For instance, many serviced providers give tenants full rental packages, with beautifully furnished offices, and the option to hire conference space on a piecemeal basis. It is a good way to save money because you’re only paying for access when you really need it. These flexible leases are highly competitive because they make prestigious addresses attainable for smaller companies. As all key utilities are included in the monthly fee, they are easy to manage. There is not as much financial waste and, as a result, more money to spend on development. All the while, you get to work from one of the best locations in Singapore. The finest neighborhoods can be found in the center of the city. The CapitaGreen and PSA buildings are highly sought after, for example. There are many iconic brands operating in these areas. For those who are brand new to Singapore, communication is everything. During an expansion or relocation, there may be a need to communicate across time zones. Fortunately, serviced offices can help with this by providing 24/7 phone answering resources. With their support, your business can stay awake, even when the boss is tucked up in bed. It’s up to tenants to make their wishes clear. If you’d like your phone lines to be answered and processed in a specific manner, make sure to inform the onsite staff. Similarly, if you are new to the culture, getting out there and meeting local people is recommended. The sooner you can build up a presence, the easier it will be to secure funding and sponsorship. Having easy access to conference spaces is a handy tool. The meeting areas inside serviced office blocks are impeccably furnished. Normally, they are reserved exclusively for tenants, so you don’t have to fight for availability. Check the booking system and rules for hiring before signing a contract if meeting space is a key concern. When searching for the perfect office, limit your search to the finest neighbourhoods in the Singapore CBD. Why settle for the best if a serviced provider can help you pay for a world-class workspace? Being centrally located makes it easier to reach consumers. It also puts you right in the sightlines of influential figures. Finally, operating from a top spot ensures employees can make it into the office quickly, and clients won’t have trouble finding you.